This is too exciting to wait until Sunday! 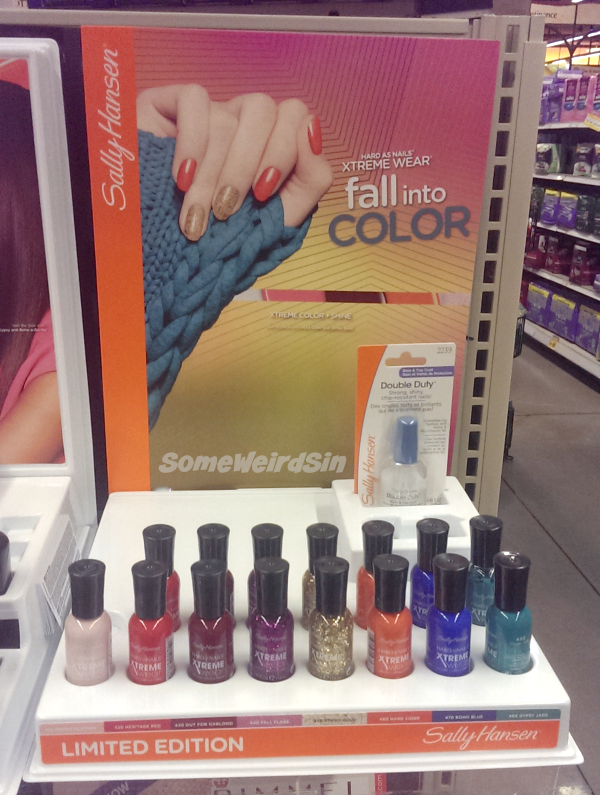 I found THREE new Sally Hansen fall displays at Wegmans this morning. They're gorgeous and you need to see them NOW! Are you dying over these? I am! 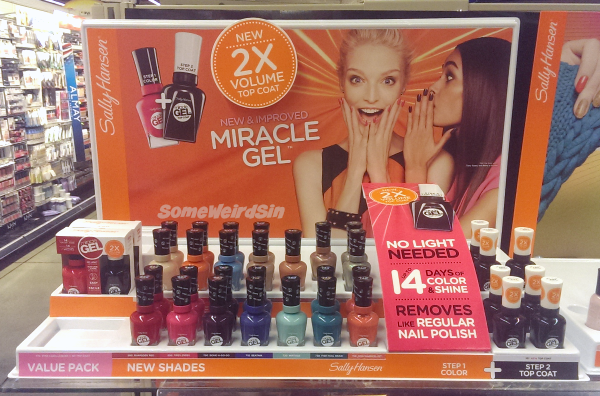 I always go nuts over the Designer Collection stuff, but this is a whole 'nother level. 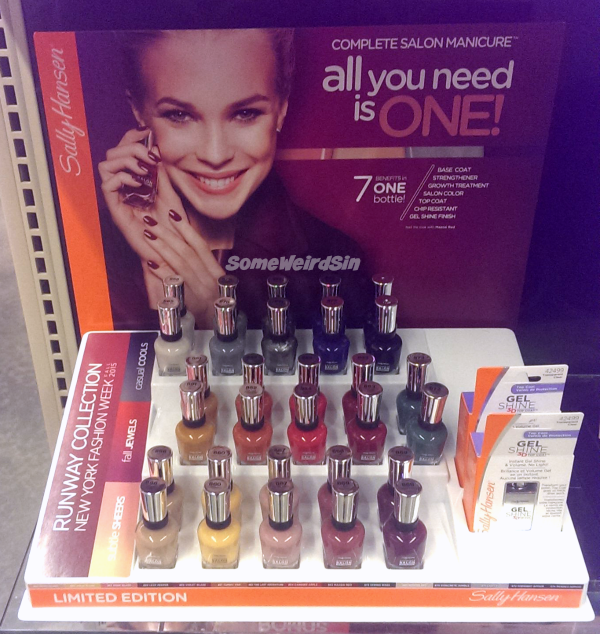 It was so hard to keep myself from a buying frenzy, especially since Complete Salon Manicure is on sale at Wegmans right now, but I managed to drag myself away. I wanna see what the CVS coupons are this weekend and I also kinda want ALL of them. I can't read the first shade name. Sorry about that. [Thanks, Victoria, for helping me out!] How stunningly beautiful are these? I'll be snagging a bunch of them too. These might be new core shades. They've been ambiguous about that recently. As usual for Miracle Gel, these are mostly creams, with a couple of metallics thrown in. I took these photos at Wegmans, a Northeast grocery chain, but they should probably be in all of the usual big box and drugstores very soon.